I have been making bags for many years, originally they were all made from leather, now I am making a selection of all leather and hybrid leather and denim. 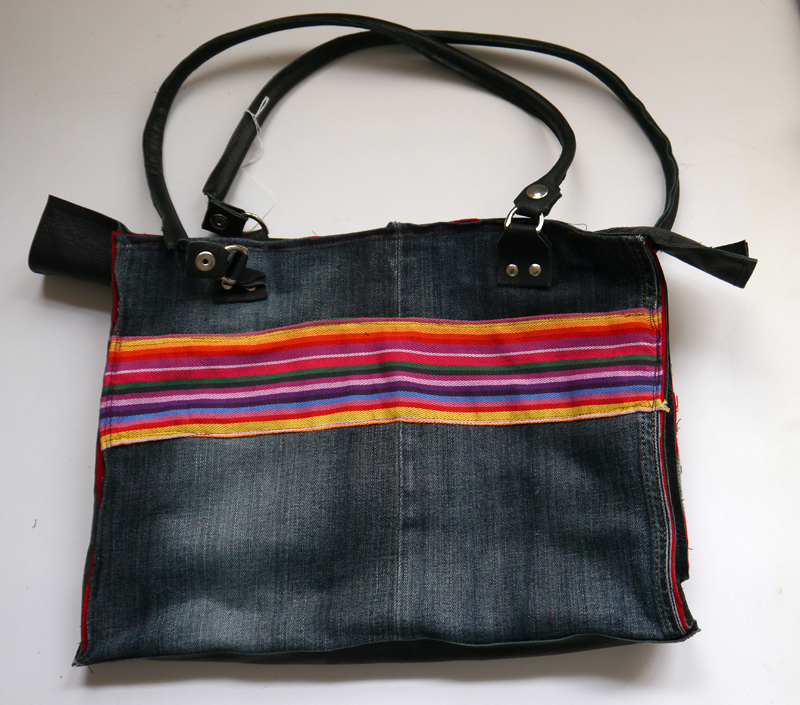 Bag made from upcycled denim and new leather, it is 16 inches wide by 11 inches high and has a 3.5 inch gusset, additionally it has a red woolen lining with 2 pockets inside, one open and one zipped, it has a zip at the top. You can have it with a handle length of your choice, from short, as shown here to long over the shoulder. 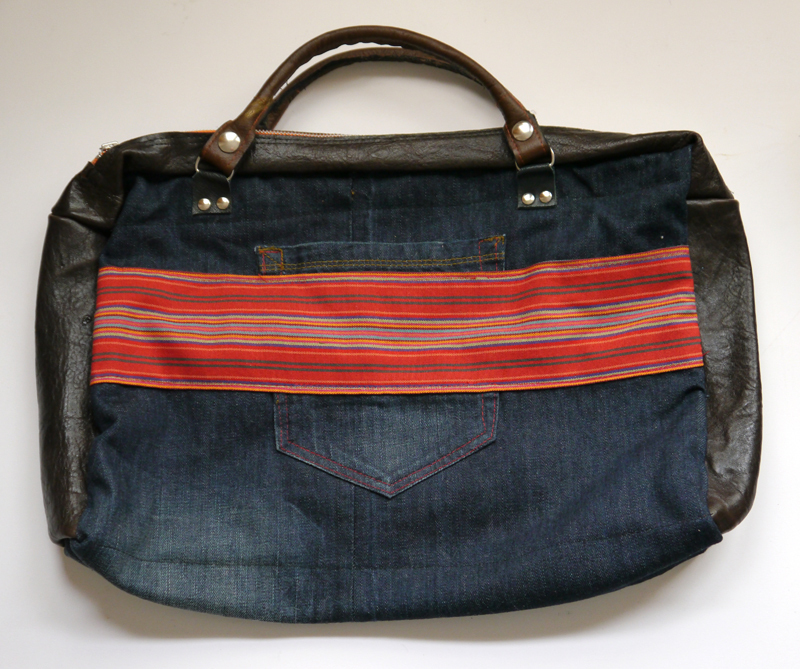 Another large bag from upcycled denim and new leather, this one is 18 inches by 11 inches and 2.5 inches deep, like all the big bags it has red woollen lining with 2 inside pockets, one open and one zipped, big enough for a big laptop. Handle length can be adjusted to your requirements. Another large bag, this one is 15 by 11 by 3 inches, as with the other large bags two inside pockets, one open, one zipped. And of course you can have handles length to your requirement, as shown on these bags the handles are leather wrapped round sashcord, very durable, but fixed length, you can alternatively have leather strap handles with buckles. 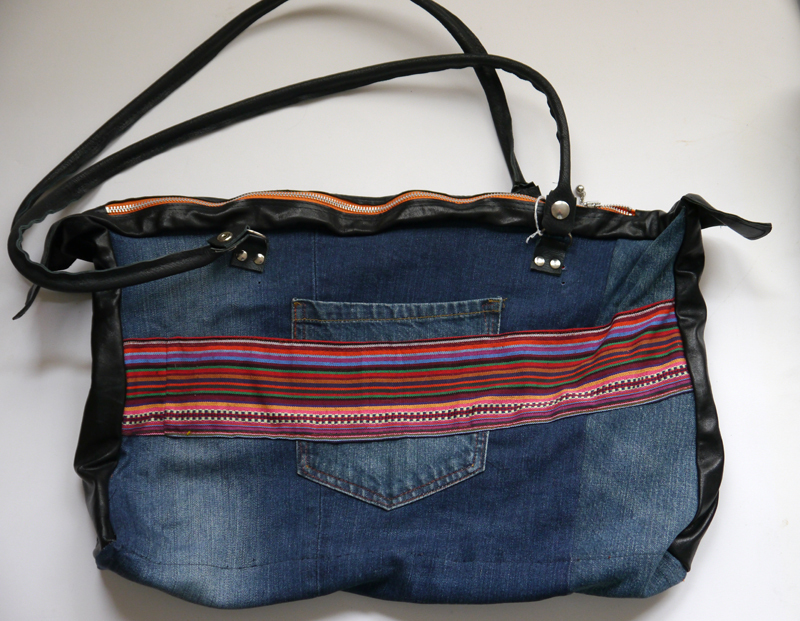 This is a much larger bag, 16 by 14 and a half by 4 and three quarters deep, with 2 quite large open inside pockets. 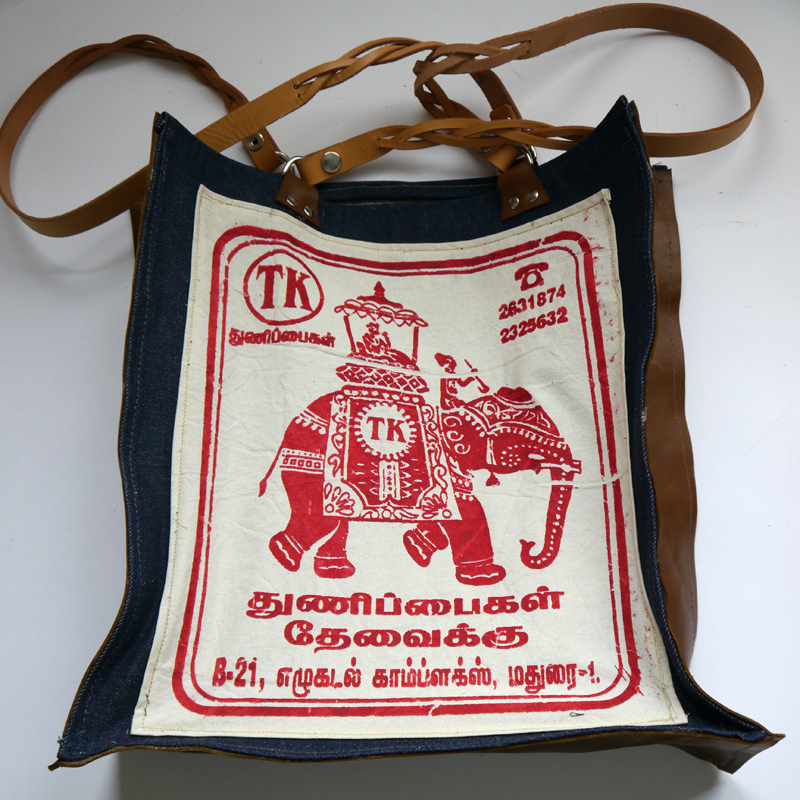 Made from new denim and leather with a plaitted hide pair of straps, these can be made pretty well any length and can have a buckle as well, this is decorated with an old temple bag from Madurai on each side.